Have you ever noticed how a blank computer screen stares endlessly back at the writer? It can be mesmerizing, it may even be unnerving, to say the least. The arrogance of technology . The defiance of the cursor clown. That reminds me. I'm convinced my old laptop screen, somehow mysteriously still attached to this cranky old Gateway, has learned to smirk. As we speak, it has a smirk. That's it. It's smirking. 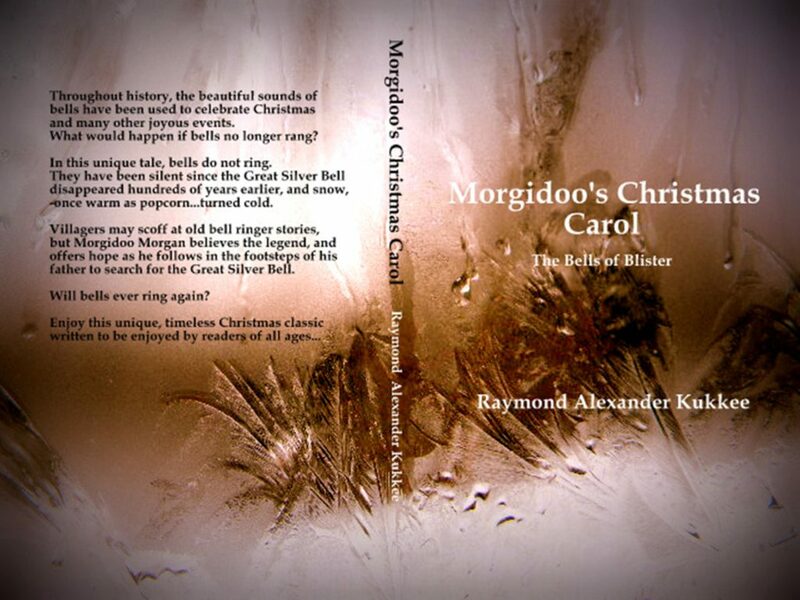 Smirking at the dedicated writer, the word-cobbler, the famous scribbler of great words, the eternal optimist, yes, even the creator of The Fires of Waterland and Morgidoo's Christmas Carol and all varieties of other interesting written stuff. "You jest, I dare 'ya, do it again." it says. "It's only fiction" it says. "Got writer's block, have 'ya?" The cursor clown blinks, the computer laughs raucously and beeps it's approval. Defiance. I don't reply to raucous laughter, taunts, smart-assed comments, or blackmail. "You're dispensable" I caution, quite firmly too. I refuse to blink, stirring black coffee, waiting for the inevitable one-line comeback. I might even read the comics while I'm waiting. It seems technology arrogantly defies dreams and aspirations, hastening to trip up even the most stalwart. It may be assisted with a screechy, smoking hard drive and dying battery. The screen, with it's blank face, impenetrable walls and innocent iconic game distractions may be a computer's best ally and defense against arbitrary, timely words, regardless how creative and elegant they may be. Worn-off letters on sticky keyboards, crabby software, updates, and devious social media distractions and icons all conspire, but the most evil of all must be the cursor clown. The blinking cursor. That's why it's called the cursor. That must be it. The nervous, stuttering cursor, the unreliable genetic offspring of respectable, aged, tapping 2H pencils, blinks merrily; a foolish, dancing hooligan with silly grin, top hat, cane and invisible tap-dancing shoes. The invisible clown dances on an invisible banana-peel on the screen, cane flashing into sight to tease rather than please, offering little inspiration, not a shred of helpful advice, and fleeting offers annoying as a buzzing mosquito. Swat. Smack. The cursor clown may be seen hastily back-stepping, with a ferocity at times that may have been learned from scruffy, junkyard dogs snapping sandwiches, fingers, and beautiful eligible words out of sight and back into oblivion. Off on, off on, off on....you get the idea. Off on. Off on. Off on. Backspace, delete, bite me, you're it. Surprisingly, a poor imitation of an old-fashioned two-step. The dancing, cursor clown. "I'm on the stage, writer-man, admire me, worship me; feed me again,scribbling person, I dare'ya." The cursor clown taunts wickedly. "Where's my spiral notepad and pointy 2H with all the teeth-marks on it?" I ask, most innocently, of course. Beep....Silence. Words appear magically on the screen...and remain.... Imagine that...it seems subtle threats work after all... Maybe I'll crank that noisy old pencil-sharpener just a bit too, for good measure... # Is that Incoming I hear? If a book is to be judged by its cover, then the Fires of Waterland by R.A. Kukkee presents the reader with an ominous presence. Fire remains ever present in the belly of the story, in the lives of the characters. Water, its polar opposite cools the spirits with self doubt and secrecy. Polar views of the poor, and of those in control arise along raw conflict. They drive suspense with a certain knowledge of the ruts on these roads. Truth and adversity make strange bedfellows in this movie of the mind. “Some things are better left under the bed, like dust balls” said Floyd, a smart man in this saga. Dialogue is well served with unwavering accuracy; Fletch and Livvy take us on a tour of youthful yearnings and covert feelings. They lead us into explosive consequences and let us explore the innermost flesh of being. The stuff of living permeates the very innards of this book from page one. Hard and ultimately hopeful; like life. Like fire. Wow. Great reviews are always encouraging. Who needs stars? Words speak for themselves. You can bet on that too. 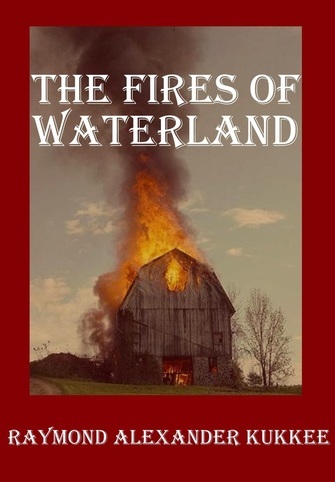 The Fires of Waterland is available online at Rocking Horse Publishing in print and eBook. It is also available online at Amazon, B&N, and fine bookstores everywhere.